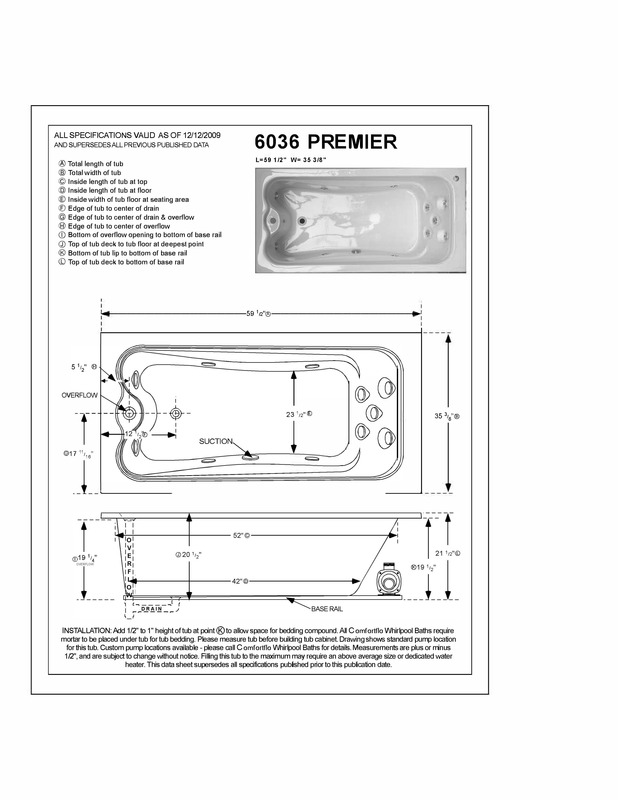 Upgrade the amenities of any of your bathrooms by choosing the Premier 6036 whirlpool tub. Provide yourself with the ultimate spa treatment as five recessed hydrotherapy jets target your back and two on each side reach your thighs and calves. 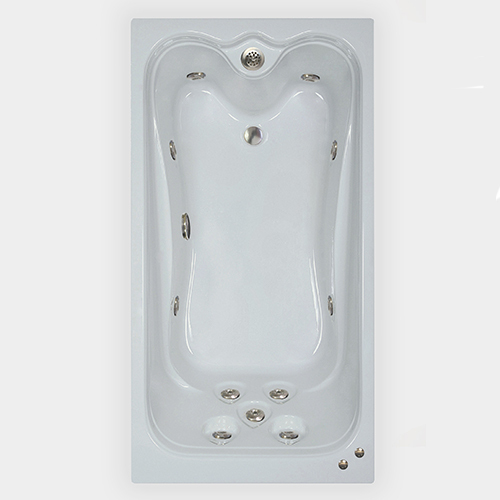 At the end of the tub, two integrated arches, complete with jets, accommodate each foot. A top-grade nine-amp pump powers the jets.